All manner of groups have been visiting the resort and enjoying the delights of Blackpool since its earliest days as a resort destination. There’s so much choice for all ages, plus all our attractions offer amazing group discounts, so whatever the size it’s worth exploring what’s on offer. When it comes to theme parks everyone likes something different. Some people love the big thrills of the giant rollercoasters while others prefer the gentler rides, whatever your preference there’s something for everybody. The park is so densely populated with attractions you’ll be spoilt for choice! The whole group can have a great time whatever the age, you can always meet up for lunch or dinner in one of the many diners, restaurants or bars. Alternatively slow down the pace a little by booking seats for the amazing Hot Ice Show, where a cast of international ice skating champions WOW the crowds with their amazing costumes, intricate footwork and spine-tingling routines. The Blackpool Tower Dungeon and Jungle Jim’s all under one roof. Best of all, with amazing deals for groups, enjoying the perfect day out has never been more affordable. What sets Blackpool Zoo apart from other zoos? 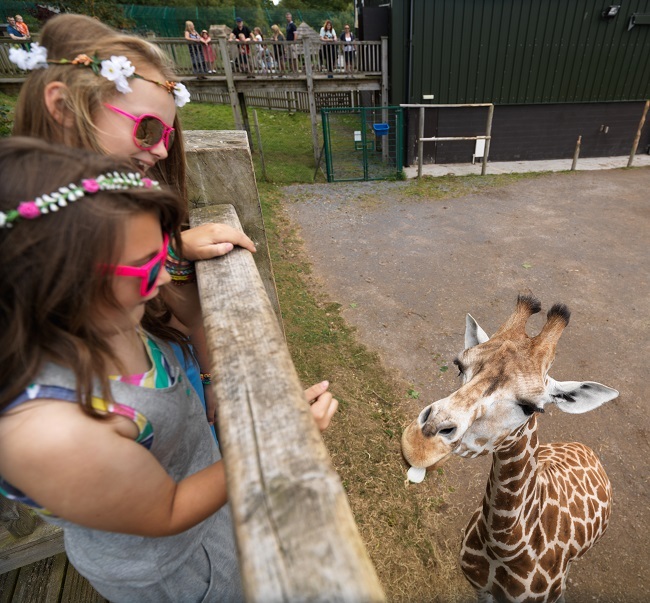 Close encounters with animals, excellent facilities for our less able visitors and happy, friendly staff who want to make everybody’s visit a fun experience! The zoo stands out in the resort, too, as being an attraction for all ages. We also have the only gorillas in the north-west and one of the best sea lion displays in the UK. Add to that, the brand new Project Elephant, then put it all into 32 acres of beautiful, traditional English parkland and you have the hidden gem that is Blackpool Zoo. 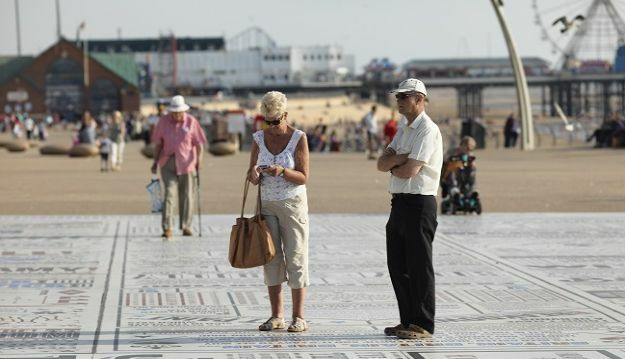 Take a stroll where every step brings a smile, Blackpool’s Comedy Carpet sits in the shadow of the world famous Blackpool Tower – and it’s one of the largest pieces of public art ever commissioned in the UK. 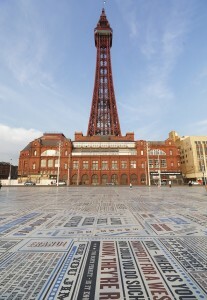 There’s nothing like the British sense of humour, and a visit to Blackpool’s Comedy Carpet is a bit like a trip to the Hollywood Walk of Fame; but immortalising and celebrating the jokes, songs and comedy catchphrases of Britain’s most well-loved comedians and writers. 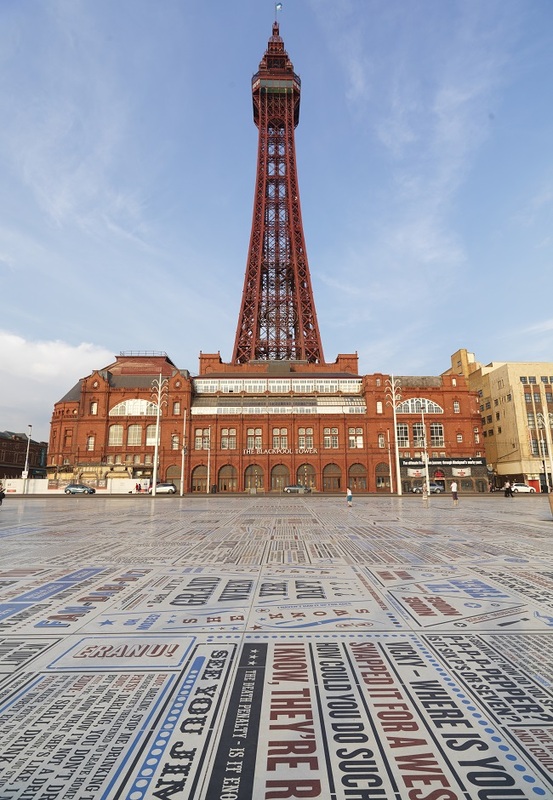 With letters ranging in size from a few centimetres to almost a metre tall the laughs can be enjoyed from all sides and from both close up and at height from the top of Blackpool Tower. Blackpool welcomes many coach operators during the Illuminations but these top tips will help you get the most out of your journey; Mid-week is less congested so coming Sunday to Thursday will make the drive through this spectacular sight even more enjoyable. To get even more out of the experience why not book an Illuminations Coach Guide who will join your coach at an agreed point and provide an informative commentary throughout the 6 mile journey, giving a real insight into what goes into creating the greatest free light show on earth.